One late night in the summer of 2014 I was looking out to sea from Banff, watching the whole of the sea and sky alight with a blood-red post-sunset glow. This brought to mind a painting by Heather Wilson based on the Shetland myth of the seefer, a creature usually described as a "coffin-shaped whale", which leaps clear of the water and determines the fate of fish and men according to the way it falls. More than the creature itself, though, it is a figure on a boat in the painting that inspired both this music and a poem of the same title. Reflected in that figure I saw my own fascination for northerly places and the knowledge that if you stand on the Aberdeenshire coast between Gamrie and Rosehearty there is no land between you and the North Pole. The piece uses no real-world sounds – everything is digitally synthesised. A rhythmic process begins, which if left to run would eventually complete its cycle and repeat after about 72 hours. I cut it off some way short of this. The source is a sample of my voice made as part of a 1995 Dundee City Council / Tayside Police drug awareness project. All the sounds in this piece are produced by a single balloon. I've long been fascinated by balloons as a sound source, from the roughest scratching noises to the eerie singing sounds they can make when rubbed gently. In 1997 I made some recordings of a small red party balloon and used them to produce two short pieces. In 2011 I met Malin Bång when she was performing with balloons at the Sound Festival in Mintlaw and Portsoy, and our conversation inspired me to return to my balloon pieces. I decided my two pieces were actually part of one longer piece, a soundtrack to an imagined natural history documentary in which balloons are the closest land-based relatives of the hump-backed whale. Initially we hear a lot of aggressive posturing as the balloons regard each other as potentially hostile, but gradually their attitude softens into cautious co-operation before they join in a final shuffling processional dance to a chorus of humming balloons. 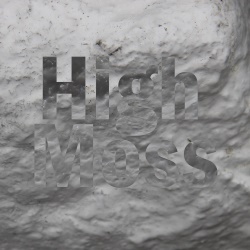 Composed and recorded during December 2013, this piece is constructed entirely from metallic percussion sounds, with electronic enhancement prolonging the resonance of certain frequencies. The title relates to the experience of an early morning thunderstorm when I was not fully awake. I was aware of the storm although I was still dreaming and the thunder became a terrifying element in the dream. One of a series of "Proof of Concept" pieces, which share the idea of building up a whole piece from multiple layers of a single sound, variously modified. In this one, composed and recorded in January 2014, there seem to be two very different things going on, but they are in fact both derived from the same source recording of a car journey along the Corkscrew Road at Inverfarigaig. The sounds of the car door slamming at the beginning and end are identifiable, as is the crossing of a cattle grid, but otherwise the source is I think largely transformed beyond recognition. This piece, composed and recorded in 1997, is unusual for me in several respects. The inspiration is urban, originating in the streets of Dundee, whereas my inspiration is much more usually to be found far from the city. And there is a constant steady pulse with alternating tonic and dominant chords in the piano that doggedly makes its way through the piece, although the harmony is subverted by all the other voices that repeatedly try to obliterate it. Also unusual for me is the proliferation of sound sources, with some sounds making only a single very brief appearance. After finishing this piece I composed almost nothing else for 14 years. I think I was recoiling in shock. I think of this as a kind of prequel to "Induction Games", though I prefer to play it afterwards as a kind of sound sorbet to clear the air. The title is a threefold reference: I was auditioning a new keyboard, the faltering waltz maybe sounds like a child performing at an audition, and the piece was produced on the day a friend was attending an audition at drama college. This is a playful improvisation with no particular structure or philosophy to it. Six months after "Red Nocturne I" I revisited the same sound world, again using only digital synthesis, but this time adding an attempt to synthesise some metallic chiming sounds. 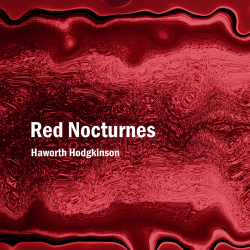 Red Nocturnes is the fascinating first part of a trilogy of albums being released on download-only label High Moss by composer, writer and improvising musician Haworth Hodgkinson. The balance in the contrasting qualities of unity and diversity in this album is all the more remarkable in that the programme consists of pieces from either side of a 14-year hiatus in formal music composition, though one would need to read the concise but informative composer's notes to know this. Indeed some of these pieces have been audible on SoundCloud for some time, but in this context they are invested with new meaning – the almost alarming qualities of the urban (indeed Dundonian!) Induction Games for instance seem no longer to jar against the more expansive pieces that have their origins in a rural setting. So a journey in more senses than one: temporal, spatial (from Dundee to rural Aberdeenshire), technological (tape to digital), psychological (between states of consciousness such as waking, dreaming, travelling, composing). The programme is framed between two Red Nocturnes, two decades of music contained between two sunsets, the keystone of this arch being Studies in Balloon Behaviour, in which two pieces from the 1990s based on the sounds of a red balloon are digitally transformed by 21st-century technology into a journey from bestial flatulence to an aurora of spectral subtlety.